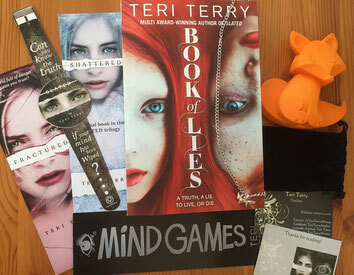 The BIG Book of Lies GIVEAWAY!! This giveaway is now closed. Congratulations to Tiffany, Suzanne and Sarah C! Tiffany won the grand prize, and the other two, a signed copy of Book of Lies. So, here's what you could win if you win the grand prize! PLUS an invitation as guest of honour to my London book signing on 19th March (bring as many friends as you like! 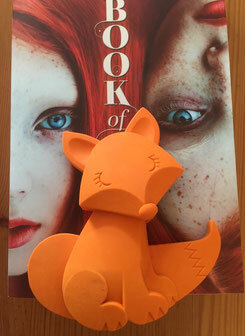 ), PLUS Book of Lies bookmarks and poster (not shown as not yet in existence). There are also two more prizes of a signed copy of Book of Lies and bookmark. UK residents only - sorry! - it is the Orchard Books UK edition. Enter by midnight (UK time) on Thursday 10th March. Leaving a comment on this blog post (this is the only thing you must do to enter). Following me (or already being a follower) on Twitter. Retweeting this giveaway on Twitter. Liking (or already having liked) my Facebook page. Sharing the giveaway on Facebook. Following me (or already having followed) on Instagram, & commenting on my giveaway photo, as above. Subscribing to my YouTube channel. Winner will be post on my website, Facebook page and twitter on 11th March. You have a week to claim your prize, as instructed, or a new winner will be chosen. And stay tuned: starting on Thursday, 18th February, I'll be posting up a reading from Book of Lies. There will be one a week until the book is published - so a total of five. I have read all your books and I thoroughly enjoyed every single one of them! I was SO excited when I got to meet you at UKYAX in Nottingham which was an amazing experience. I hope I didnt ask too many hard questions! The book of lies sounds really great and I would love to win the giveaway! Met you at BogForum in Copenhagen! I really love the Slated trigology and Mind Games! I have adored Slated and have wanted to read all of your books since I read it; including Book of Lies! Would be incredible to win, love your books so much! Fingers and toes crossed! Would be great to win! Love your books! I am so excited for this book to come out! I've absolutely loved all of your books! Lovely comments, everyone; thank you SO much! This would make my year !!! LOVE all of the other books!! Seriously can't wait for this one! All of Teri Terry's previous books have been amazing! Expecting no less for Book of Lies! I have to say I have only read the slated trilogy (so far). I loved them! they had a great plot line and loads of twists and turns that kept me guessing right up until the end. I just hope your other books are as good! (I have heard that they are, having read reviews of them). even if I don't win I will still be ready to buy all your new books as you are a brilliant author! I squeaked quite loudly when I saw this. I love your books so much, can't wait to read this one!!! I would LOVE to win - all my fingers crossed!